Football. Well it's a funny old game. :) You wait 85 minutes for something to happen and then all hell breaks loose. Our 2010 Nabisco Cup campaign got off to a victorious start, but it was far from as clear cut as the 2-0 scoreline suggests. The first 85 minutes were pretty uneventful truth be told, although a bright spot was 22 year old débutante Yohei Takeda's performance between the sticks. He had a good game and will surely be seen more of in the future. But yeah, like I said, the first 85 minutes were no classic by any means. Neither team really looked like scoring, and if anything the visitors had the better chances. 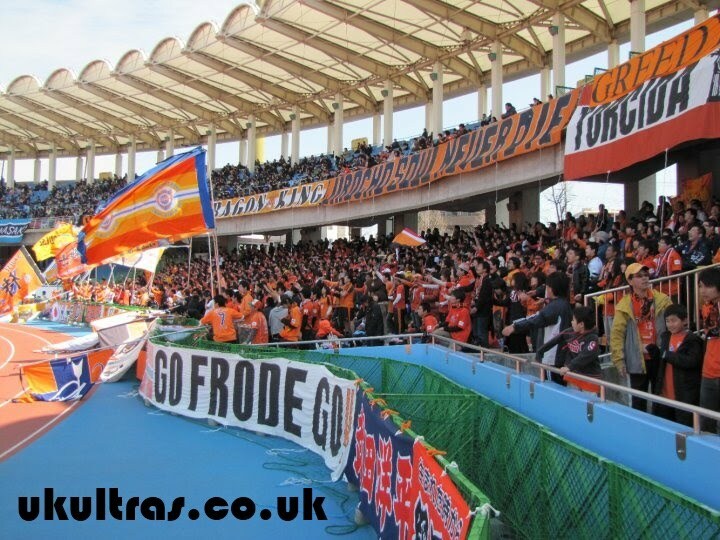 We had only M. Yamamoto, Hiraoka and Arata in the team from Saturday's game with Kawasaki, and it showed. We lacked fluency and were hesitant in our play. Heading into the final five minutes, the nil nil scoreline didn't look much like changing. But the story didn't end there. With the last attack of the game we won a corner. The kick was swung into the danger zone and who was there to get his head on it and make amends for his penalty miss? Hara made it two nil, the whistle went shortly after and suddenly an unsatisfactory goalless draw is a 2-0 win. Well, it's a funny old game. After a combination of Google Earth's Street View research and blind luck on the trains I arrived at Kawasaki's Todoroki Stadium in plenty of time for Saturday's early kick off. I wasn't alone, as hundreds of S-Pulse came up for this contest between two teams who will surely be in the upper reaches of the table come December. I'll be honest, the view from behind the goal was pretty awful. The terracing isn't really steep enough and the added drawback of the running track made it hard to follow play with any certainty. 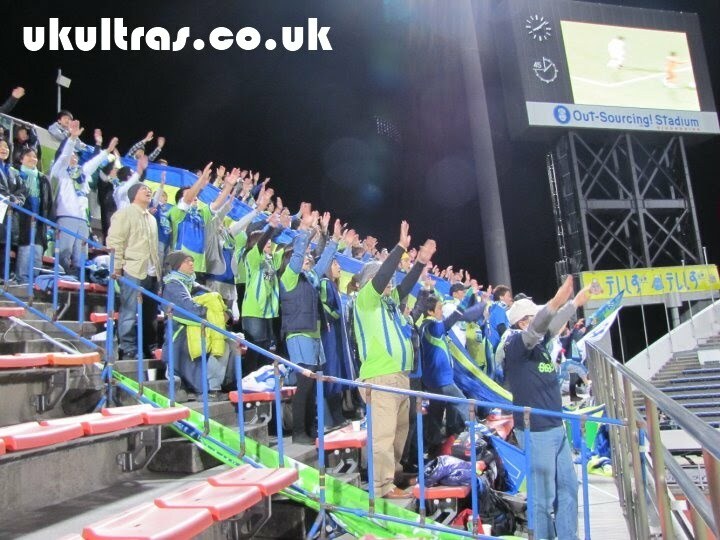 Things seemed better from upstairs, but that was full to overflowing with our travelling army long before kick off. The Todoroki was a nice place to visit and I'd go back, but not to stand where I did this time. When it came to watching the game I was getting so frustrated with the view, I ended up expending most of my energies in just cheering us on. Anyway, moan over. We had something of a makeshift starting line up. With Iwashita out for a month we had a re-jigged back line with Hiraoka and Tsujio both starting, but things held together well. We also had Hyodo playing up front in place of Johnsen. The Norwegian didn't make an appearance until the 70th minute, with Hyodo then (mercifully) dropping back into his regular place in the centre of the park. It took a while for the chances to start coming, and Fujimoto drew a fine save out of the Kawasaki keeper from a free kick, but even when both teams found their shooting boots, real goal scoring chances were still pretty few and far between. Kawasaki's Renatinho was diving around at every opportunity and I'm sad to report the referee was getting played hook, line and sinker. He even succeeded in getting a yellow card awarded to Bosnar after launching himself in the air at the Aussie's challenge. Oh, well. Such is life, and players will keep trying it all the time the refs can't do their jobs properly. Despite the early yellow, Bosnar wasn't put off his game and was instrumental in our defence keeping a third clean sheet of the season. The big man had an excellent game. Ono too, despite getting several knocks throughout the game, was different class and everything was channelled though him, though he picked up another yellow. He does like a a good chat with the ref, of that we've come to see. If he can remain injury free he's going to have a huge say in where we end up at the end of the year. The biggest worry from the game was the lack of real fire power we displayed. Johnsen was only used as a sub and we missed his presence. If it's just a one off remains to be seen, and his ability (or not) to start games could prove a bit of a hindrance this year. We don't lack back up in strikers, but none of Hara, Nagai or Omae have the height of the big fella. The game ebbed and flowed, with each team trying hard to carve routes through each other. Not a great deal of success was had, and our one or two shooting chances were blasted wide (Hyodo and Johnsen, and Ito at the death). As the clock started ticking down things seemed to kick up a notch as both teams went for the killer punch, but nothing was doing and the whistle went at 0-0. 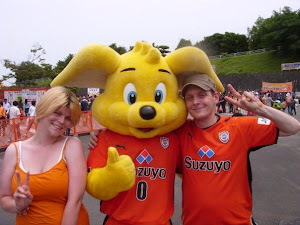 So all told, a draw was probably fair, and a draw away at Kawasaki was no bad result. It certainly didn't leave me spitting fire like last year's injury time free kick dodgyness. We're proving a hard team to score against which is a very good thing. 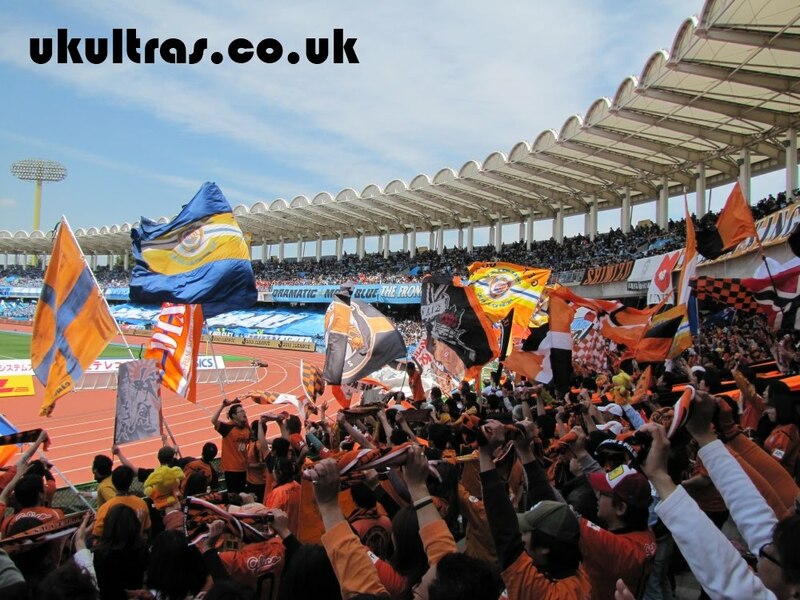 Next up is Shonan Bellmare in the Nabisco Cup on Wednesday in a chance to get our cup campaign off to a winning start. That was a tough old game, and one we were fortunate to get away from with all three points. We weren't especially good, and looked decidedly blunt up front without Okazaki spearheading the offensive. We showed flashes of decent play but I spent most of the day frustrated. 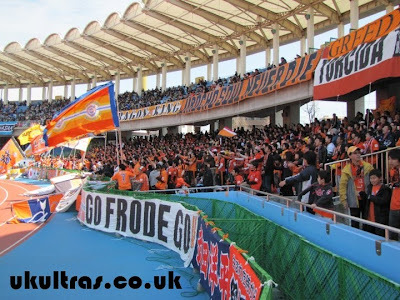 Kobe kept Johnsen under control, and Omae, on his first league start, didn't ultimately cause the visitors many problems. Kobe went very close to scoring at least twice, once in the first half with Arata blocking the ball right on the line. A heart-stopping moment. When the game started looking like finishing up 0-0, it was substitute Eddy Bosnar who slammed in a 35 yard free kick. It was low and moved through the wall like the Nozomi Super Express. It managed to wrong foot the keeper, who'd had a good game till then. We held on for a nervy last eight minutes plus stoppage to move top of the table on goal difference. We'll have to be better next Saturday against Kawasaki, although they'll still be smarting from getting destroyed 4-0 by Marinos. I'll be heading up to the Todoroki and packing my binoculars. From what I hear it's a bit of a distance from the away zone to where the action is taking place. 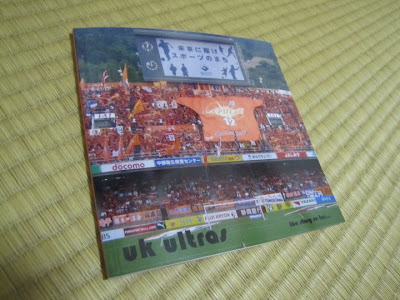 I'm happy to announce the publication of the first UK Ultras book, and the first English language J. League book for a while. 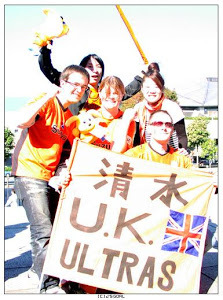 The book is the UK Ultras' photo diary of the last few years spent following S-Pulse and is available here for purchase at the meager price of just £8.95 (around 1200 yen) in paperback. For that you get over 110 pictures crammed into forty lovely full colour pages - that's just 31 yen a page! The book is unashamedly full of pictures of me and my friends, and if you've been to a game with me in that time, you're probably in it. :) I made this for my S-Pulse buddies, but have had a few people ask after one, so I figured I may as well make it available for anyone who is interested. Having nervously checked the weather forecast everyday leading up to Saturday I couldn't help worry we might be in for a wet opening home weekend. 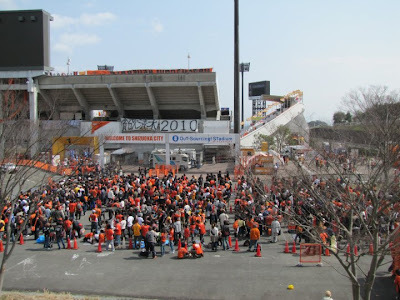 As it was Shizuoka was actually bathed in a gloriously warm sunshine as we filed through the turnstiles. The performance was a solid one against a determined opponent. We had a good first half and took the lead though a Johnsen shot deflected wickedly off Jungo. It wrong footed the keeper and hit the back of the right in front of us. 1-0. We should have made more of our superior first half possession, but it was still one zero at half time. 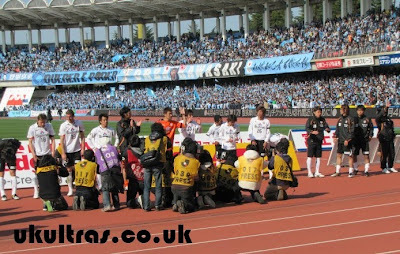 The second half Yamagata were a much improved team, and it was a nervous 44 minutes before we put the game beyond doubt. 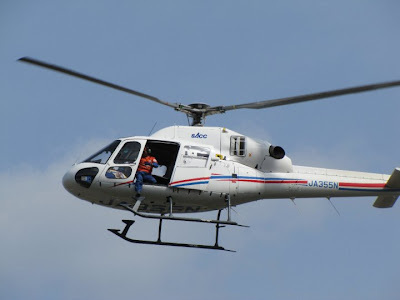 Our second came from Okazaki's pinpoint head. After a free kick was played out wide to Ichikawa, the cross was swung over to Shinji who was waiting at the far post. He managed to nod it back across goal right in front of the keeper. It ending up in the far corner. Unfortunately, Okazaki went off injured within moments after getting a knock in the mouth. That wasn't where the story ended, as Shinji's replacement Ito Teruyoshi managed to grab his first goal for three years with the last action of the game. 3-0 may flatter us a little, but a win was fair. Referee Takuto Okabe, who was in charge of our opening weekend fixture with Hiroshima, has been suspended for two games. 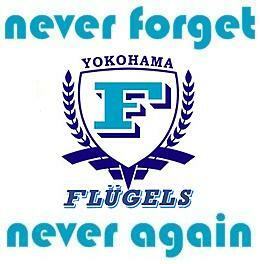 The reason being his failure to call Hiroshima's so-called "trick penalty" as illegal. I barely mentioned this in my report for the game, but that was due to the TV signal cutting out for the spot kick and my subsequent not bothering to watch it. The problem with the kick is that the eventual kicker is not clearly identified by the referee prior to it being taken, nor is he inside the penalty area when the whistle sounds. As Sato is outside the box when the whistle is blown, he is ineligible as the taker. The taker should be in the box along with the defending goal keeper. Read about the rule-breaking penalty on Reuters, here. Okabe has got his punishment, but I think in the spirit of fairness, Hiroshima's goal should be struck off the record, and the three points given to us. Football is back, and it feels so, so good. And it was an event-filled Saturday for the three of us who trooped over to the S-Pulse Dream House to watch it on the big screen. Barely three minutes in, a Hiroshima forward goes to ground as Nishibe dives at his feet. Penalty given, striker jumps up celebrating. He steps up to take it aaaaaand.... the signal dies. When we got back up and running (at 1-0 down), it was a frustrating first half as the home team dictated the game. We were playing 4-3-3 as in closed season, and it's going to take a while for things to gel. Fujimoto up front on the right seemed slack on several occasions when his first touch let him down or he was caught napping. Despite a whole lot of huff and puff it just wasn't happening in the first 45, and it took a talking to at half time to turn our game around. The second half we dominated, and when not held back by the diving, simulation and all round dodgyness of the Bulgarian number 2 Stoyanov, we were able to swing in several decent crosses into the danger zone, though we singularly failed to really test the keeper. Ono was different class, and he demonstrated the impact he's going to have this season. For his first full game I was very impressed with his touch, awareness and precision. Bosnar was also a presence at the back, and one we're going to benefit from. He was sent up for each of our seven corners along with fellow defender Iwashita. Once we've had a few games to let everyone get used to each other I'm looking forward to what we're capable of. Speaking of Iwashita, anyone who saw today's game will be amazed how he stayed on the pitch till the end. Entering stoppage time, the hot headed newly-wed pushed a Hiroshima player away with his full palm on the opponent's face. Predictably, the Hiroshima player went down like he'd been shot in the head, but regardless of any making-the-most-of-it, any hand-to-face is a red card right there. The ref reached for his pocket and pulled out... a yellow. Absolutely amazing. Within seconds of this, and with the clock at 92 minutes, we were up the other end with a final throw of the dice. We were awarded a free kick on the edge of the box, Jungo swung it right into the mix and it was met by substitute Omae Genki for his first league goal. It was no less than we deserved, and on balance 1-1 was a fair result. Slightly more extended highlights, including Iwashita's facepalm. 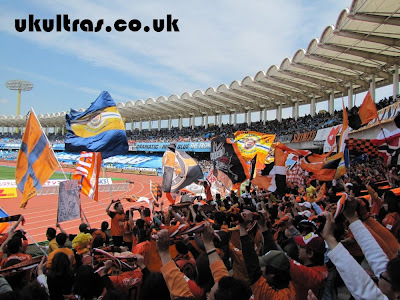 As uploaded to YouTube user 12shunsuke12's account today, several new chants have been announced for 2010. It's all a bit different to back home where chants evolve organically on the terraces and either get taken up or forgotten about depending on the supporters. Here the songs are constructed in a studio and we are then told what to sing. Well, it is what it is, and I'm not judging either way. I do miss the spontaneity of crowd humour you get so much of back home, but there's also something to be said for everyone knowing what they're meant to be singing at the same time. The noise is amplified ten fold, and the all round atmosphere benefits. 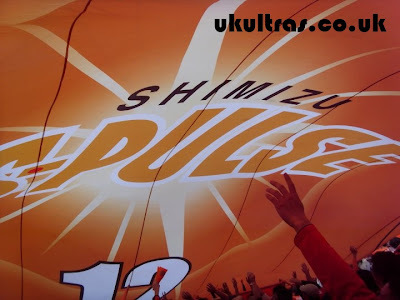 Check out 12shunsuke12's page for the new chants for Ono, Bosnar etc, but the chant above is the one I'm most looking forward to belting out next Saturday. 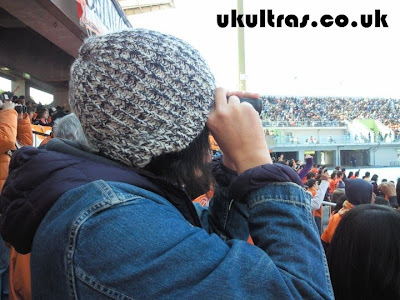 S-Pulse beat Niigata 2-0 on a sunny Sunday afternoon down Nihondaira.